As mid March came and went, with our first safaris completed in some of the warmest weather in recent years, we were beginning to wonder if the scorched African countryside’s thirst would ever be quenched before the onset of winter. Autumn rainfall is never a predictable occurrence throughout the East Cape, but can be the difference between a fair or great season. The secret to the entire formula lies with the timing. If the rain comes to close to the onset of winter, then the growth period of warm weather will be too short to see our areas benefitting from the rain, and if it’s to early in autumn, then the heat will ultimately beat the growth. But when the timing is spot on – it’s a miracle metamorphosis that takes place overnight. Not only does one see barren earth turn from dust red to a blanket of green, but one sees a change in mood. It’s as if everything perks up, most notably the first signs of the rut. It is during this period when sitting on the edge of a cliff overlooking a valley below admiring the class of a Kudu bull in full rut, that one’s’ senses are filled with life and the excitement of the hunt. How else could one describe the privilege of hunting right in the middle of all these changes? The only thing better would be to include a bunch of old a friends, a couple of new faces, and a lot of fun! Back on safari, returning on his 7th hunt with John X Safaris was our old friend Brett Nelson and his group from North Dakota. Over time, Brett and many in his group have become extended family members. Very seldom does a season or two pass without us seeing Jeff Edland, Chad Badger or Dennis & Nan Roberg back in camp. These folks and their friends are what makes our world the place it is. Getting to know Brian Gebeke, Brian Nelson and Joe Kapaun, and welcoming them into the John x family with the old timers, is what made this particular hunt one memorable trip. Our teams on the ground consisting of PHs, trackers, skinners and camp staff had their work cut out ensuring each individuals needs were catered for. Varying levels of African experience by the hunters saw the need for our teams to head into the forests, mountains and plains. It was going to take the best in the very best areas. Each morning saw the individual teams rise at the crack of dawn in pursuit of their quarry for the day, and each evening the smiles grew broader. Many great trophies were making their way to the skinning shed on a daily basis, with a number showing early signs of competing for trophy of the season. Each team had their favourites, with many deserving a special mention. Where better to start than with one of our old timers, Chad Badger. Chad teamed up with Professional Hunter, Greg Hayes, for a second time and once again produced the goods. 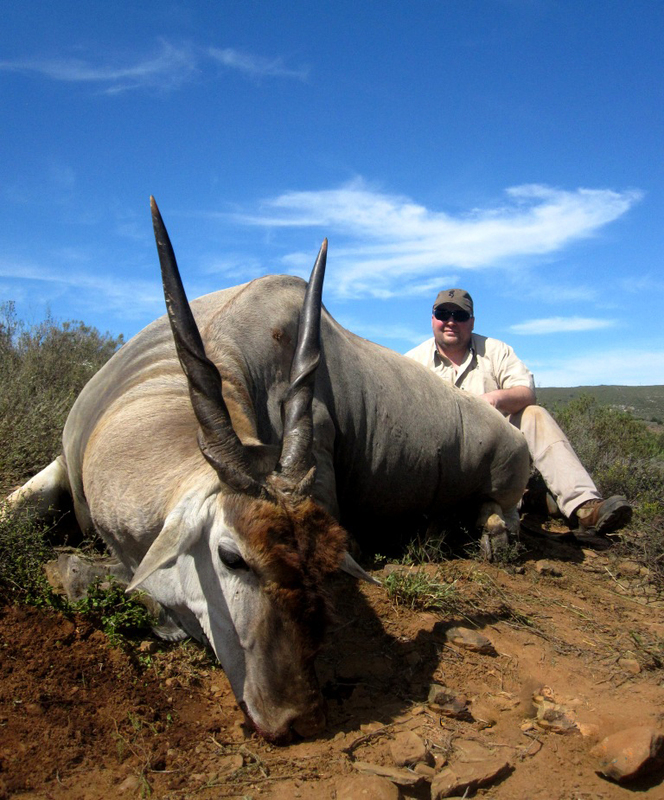 One of five Cape Eland hunted on this particular safari, most certainly one of our favourites. 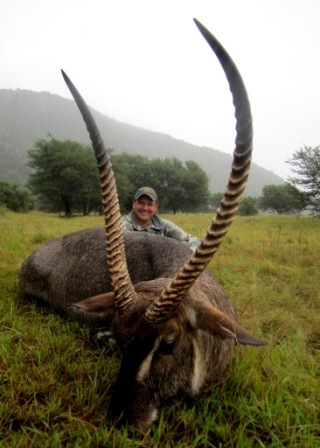 As for Dennis his Kudu came as the greatest relief of all. 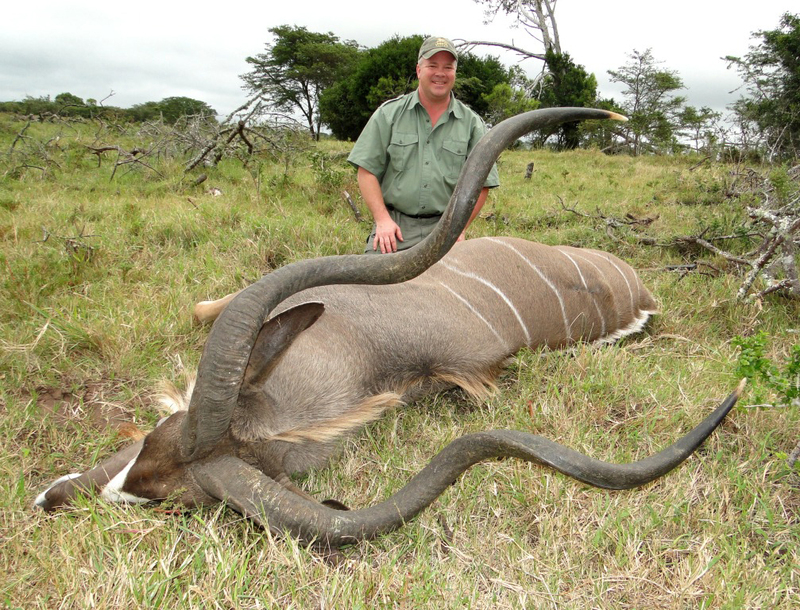 We bet he can put away his Kudu fears from that first safari and head out bragging with his monster of 53”! Sticking with the spirals and a massive welcome to the team. 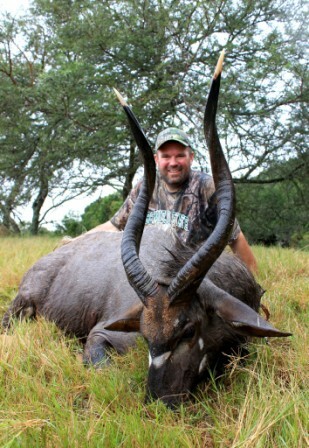 New comer Joe Kapaun with a breath-taking Nyala. As for a first timer to Africa, Brian Gebeke may never quite realize what he bumped into on his first safari. 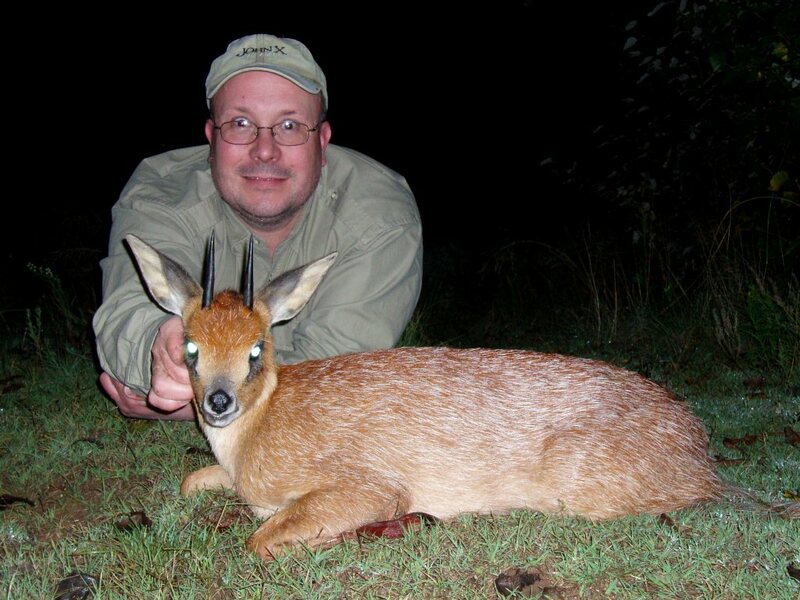 Could it be the Waterbuck of the season ALREADY? Jeff Edland saw the hunting gods smiling down on him with beams of luck. 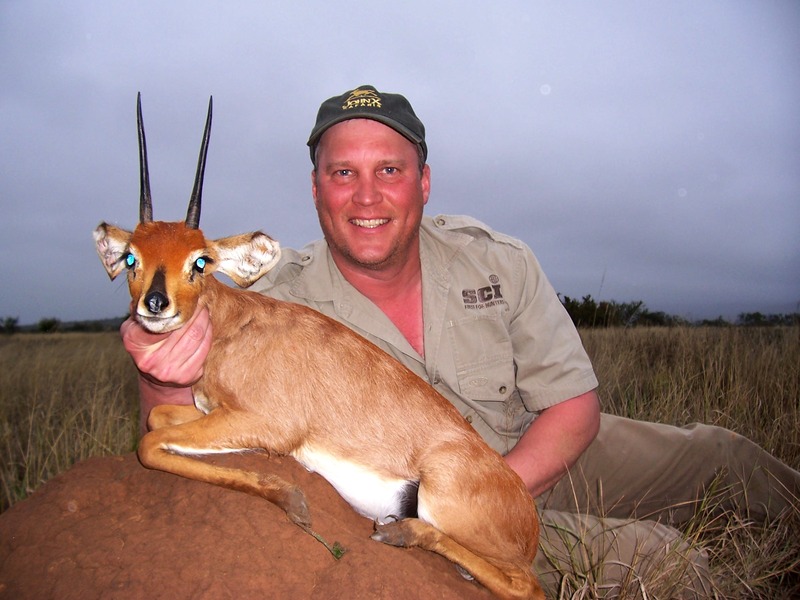 So many great trophies, only one to choose – we went with one of our favourites, a world-class Steenbuck! As for Brian Nelson, the biggest character on safari, and now fondly known as the “Butterfly catcher” (don’t ask us – ask Chad Badger?) Brian hunted a bunch of great trophies, but we all loved his Fallow Deer stag. 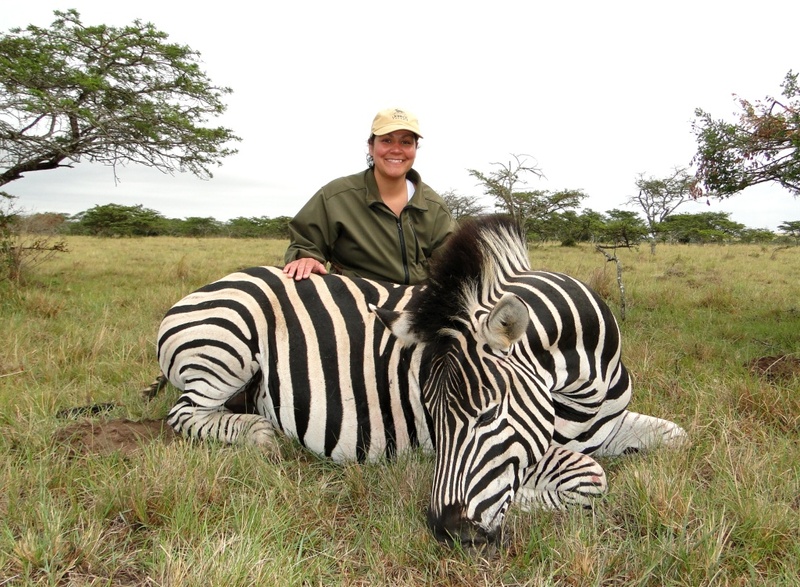 Now Nan Roberg hunted a world-class Blue Wildebeest, which we’re sure you’ll hear of plenty more, but on this occasion we not only liked the Zebra’s skin, but the picture made it! Great job Nan! Last, but certainly not least sees Brett finally getting his much-anticipated Cape Grysbuck. For most his trophy will be seen as just another one of those ‘Duikers”, never looked at in the same light as say a Kudu or Cape Buffalo, but for those experienced hunters who’ve spent many hours in pursuit of the Tiny 10 – they’ll know just what Brett has done again. Last time it was his Vaal Rhebuck, this time his awesome Cape Grysbuck. Eat your heart out, we all have! While the above are some of our favourites, there were plenty more. The quality was outstanding, the hunting was hard and there was lots of it. 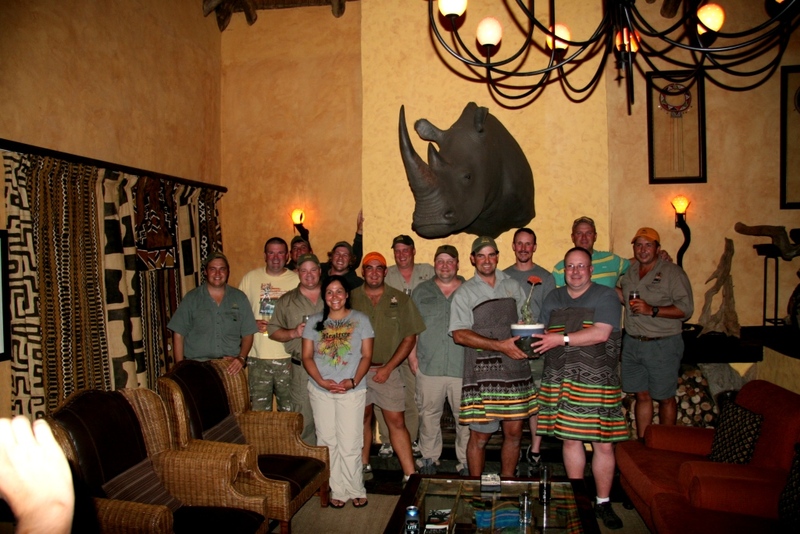 Come along – hold on – this was one humdinger of a safari! 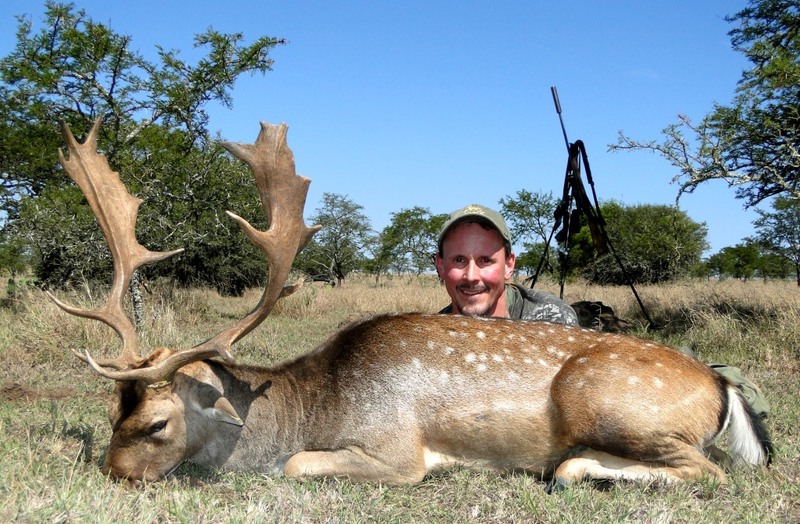 Achieving all this in ten days took serious hunting, but as we’ve come to know Brett and his groups, we’ve come to know the hunting is as important as the fun. What at first seemed like a one-sided affair soon saw the John X team take up the challenge with a few pranks of their own and the “brainchild” of a new award. By day 10 it was official, with a trophy and all! Congrats boys, you’re officially the dress wearers until next year!